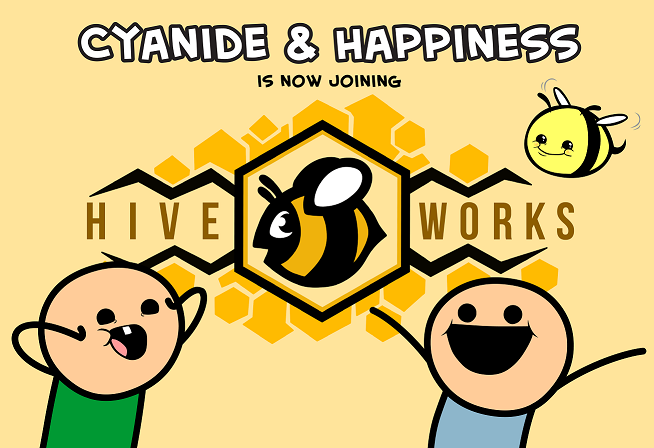 We've teamed up with comics-juggernaut Hiveworks to help us spiff up the site and generally do-things-more-gooder. Yay Hive! Don't worry, comics aren't going anywhere or changing. They're still coming out daily like always on Explosm. We've just got more help now.